This spacious (1,744 sq. ft) home has loads of charm and is beautifully updated. 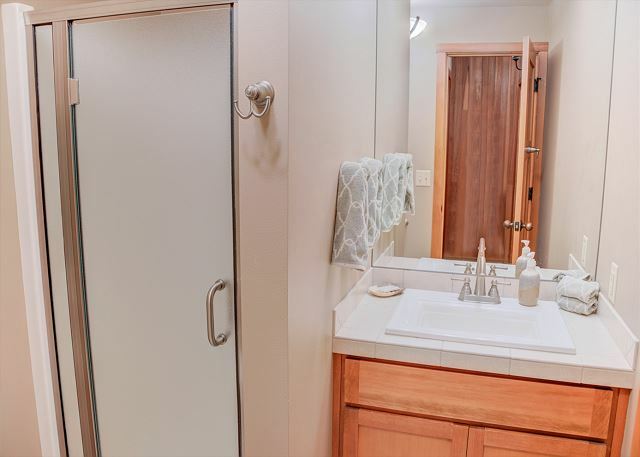 Surrounded by Ponderosa Pines and within a short walk to the popular Paulina Springs Pool area, it will be ideal for your family vacation. Paulina Springs Pool, which is as unique as Black Butte and this beautiful home, is one of a kind. This hidden pool is tucked away in the forest close to the Meadow and to Paulina Springs, and nature boardwalk. From the Paulina Pool and Springs, you can take the nature boardwalk to the paved trail that crosses Big Meadow. Walk into this three level charmer and you are greeted by beautiful hardwoods and craftmanship everywhere your eye can see. The stunning wood dining table seats eight and is open to the living room and kitchen. The adjoining living room has floor to ceiling windows, a beautiful wood burning fireplace with hearth, and comfortable furniture for a wonderful great room feel. Cozy up in front of the fire for movies or games with the family in this wonderful family home. There is an eating bar for extra dining seating which is off the beautifully redone kitchen. The counter tops are stunning granite and provide plenty of area for meal preparation and the kitchen is wonderfully equipped with everything even the most discerning cook desires! Walk to the nearby door which leads to the outside deck area with a gas BBQ and a second dining area with lots of outdoor seating for dining or lounging. Off the entry, go down a set of stairs to reach two bedrooms, one with a queen and one with twin beds. There is also a full bath that has been beautifully updated. Go back to the entry and go up one flight of stairs and there are two queen bedrooms with another updated full bathroom. Go up another flight of stairs to the loft for a kids' play area. 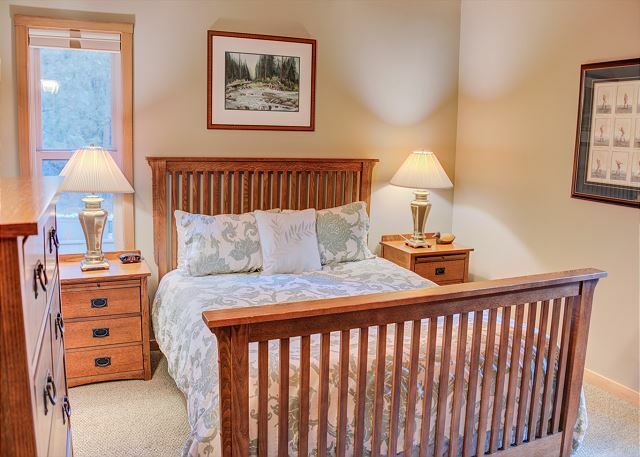 With the bedroom set-up, this home is perfect for two families with children or a family and grandparents. One dog is allowed so they can join in the fun at Black Butte Ranch and the home is centrally located in the Ranch so getting to any of the pools, recreation areas, or golf courses takes only minutes. 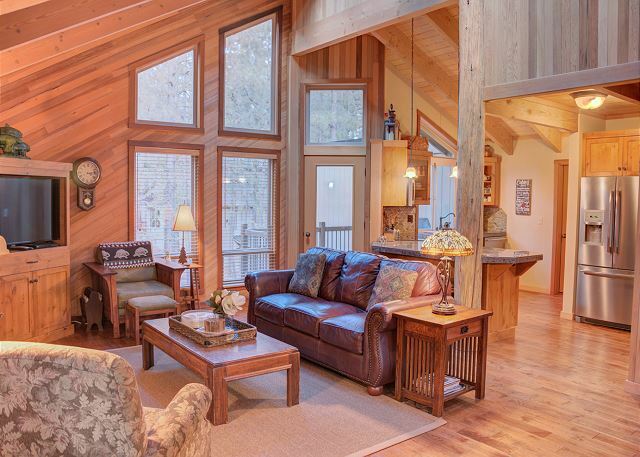 You will want to return time and again to this vacation home away from home. We stayed two nights and had a great time. The place is great for families with children and is easy to get to. The kitchen includes every utensil, pot, glass, etc you would ever need. The bedrooms are located away from the main family room and kitchen so it's very quiet. Thank you so much for your review. We are very happy to hear you had a great time and enjoyed your stay in this home. What a wonderful home! Updated, comfortable, cozy, well stocked. It was much bigger than I assumed from the photos. The 3rd floor has a small living room with a loft - my kids loved it and slept there every night! Thank you so much for your review. We are really happy to hear you enjoyed the home! We had a lovely relaxing time in GH 275. The house had a great fireplace, which was nice with the cold weather, and a good layout for the family. Beds were comfortable and the kitchen was well stocked. Thank you for your review. Glad to hear you enjoyed GH-275. The house was clean and well laid out, there was plenty for our kids to do and it was in a fantastic location within the ranch, close to Paulina Pool and a short drive to the lodge and Robert's Pub. We will definitely come back. I left a detailed review on the table with other rental papers on the day we left. I'm trying to remember what I said. I think the house was comfortably furnished, but with a few too many decorative items. Had trouble moving them in order to use the dining table. There was a broken (very wobbly) bar stool that needs repair too. There was a screw for it on the counter. A few tools might be a nice addition. Also, I think that I mentioned that for summer, the comforters are a bit heavy, and a lightweight blanket in each bedroom would be a nice option. Wonderful home with all of the amenities. The grandchildren loved it and didn't want to leave. Black Butte is a tremendous place for family vacaation. 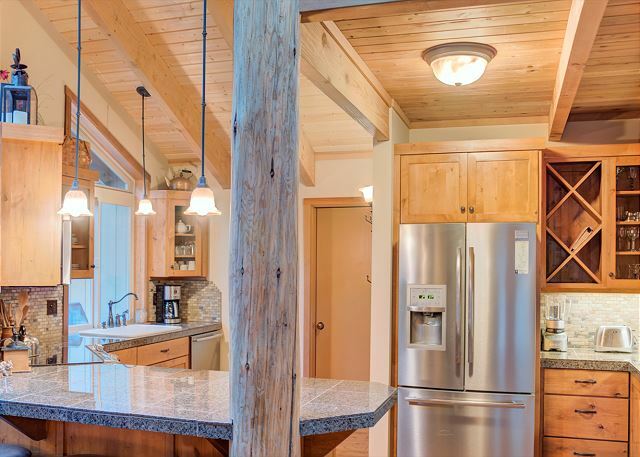 The home was well maintained, clean and the kitchen was incredibly well stocked. The location was very convenient and we loved our evening walks through Paulina Springs to the meadow. The house was well laid out, plenty of room for our family of three plus two sets of grandparents. The loft was a big hit with my daughter. Great house! Perfect for our trip with friends! Close to the trails, clean, well furnished with all the kitchen utensils we needed. We would love to book it again. This home was furnished beautifully. The kitchen was a good one in which to cook and gather. We had a terrific time with grandchildren. The location is just blocks from Paulina Pool, a spring and the walkway across the Meadow. The home provided a warm and inviting feel. Great decor, kitchen and layout. Would rent again. 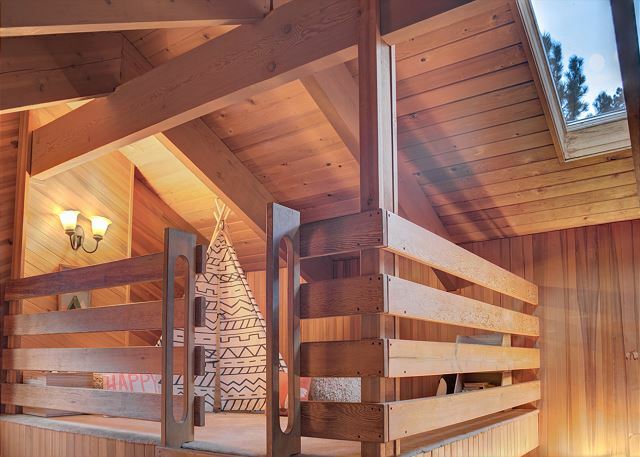 Only wish was utilizing the loft area to sleep additional family for a future visit. Max occupancy is 8, would love to see it bumped up to 10.